I set out to a small town in order to find myself. What I never expected was to find the one thing I always needed- Wes Taylor. He obliterated every wall surrounding my battered heart. The only problem? The darkness I had left behind followed me, once again taking hold of my life. For four years I’ve raised my daughter, Ellison, on my own. I wasn’t looking to have my world tilted on its axis, but the day Lenni Blackmon came to Fredricks, it did just that. The only problem? She was too afraid of her past to look forward to a future. Wes…OMG Wes…A single dad 1000% devoted to his daughter – how can you NOT love that?? Wes was your average young man with a girlfriend – pregnancy was not on his radar until said girlfriend showed up with the positive pregnancy test. He did the best he could – they got married, bought a house, and had a baby. He fell head over heals in love with his daughter Ellison but Vanessa did not. Deciding she can’t handle being a mom and wife, Vanessa bails. 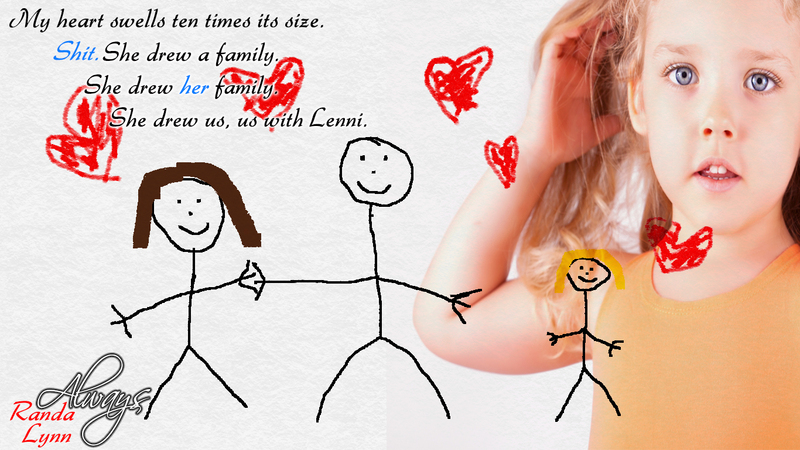 Lenni is the girl that fell in love with the idea of being in love. Her relationship with Ryan is abusive, mentally and physically. After 4 years of being belittled and beaten, she has had enough and leaves. While on vacation with her best friend, Amber, she meets Elli and Wes. Lenni and Wes together are AMAZING. Wes is the sweet, caring, loving man that Lenni needs and Lenni is the strong, loving mother figure that Wes and Elli need. Elli is the perfect addition to this book. Her know it all 5 year old innocence is awesome! The antics of a 5 year old are hilarious! This book was AMAZING! Randa Lynn is a new author and one that I will continue to read and follow. I can not wait to see what else she has in store! 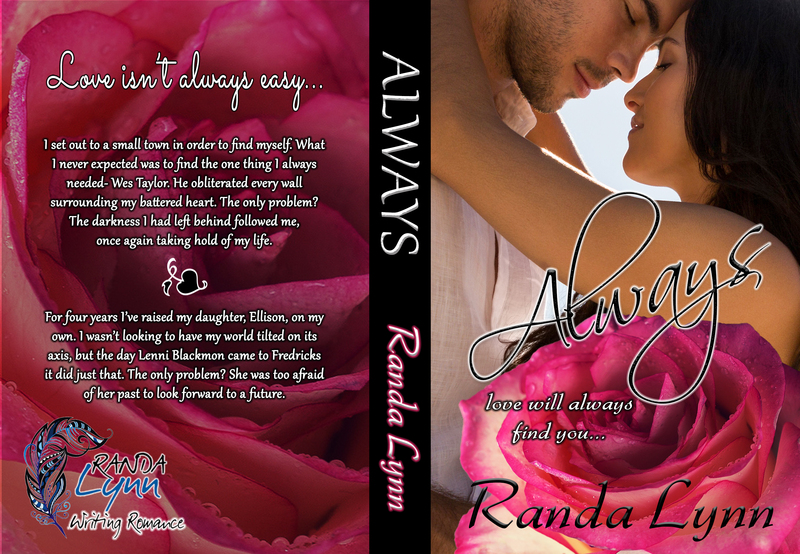 Randa Lynn is an avid reader and lover of all things romance. 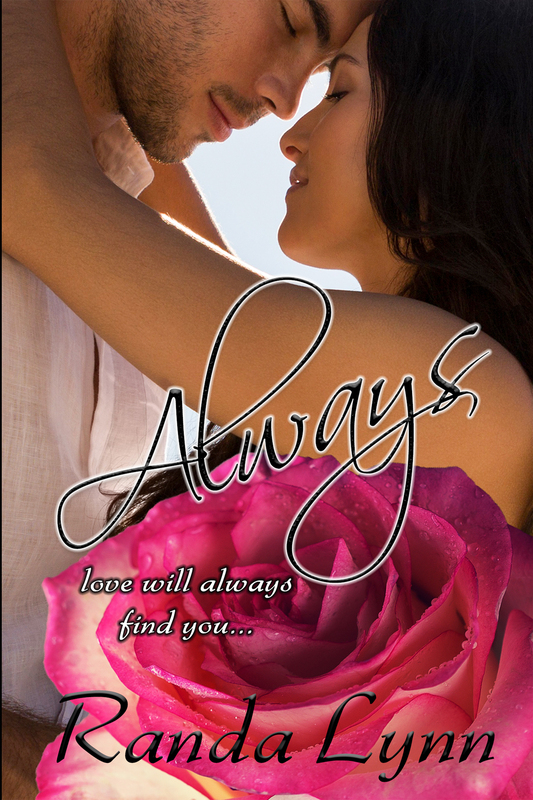 She has sketched stories since she could write, and has now decided to publish her first novel, Always. In her spare time she likes to watch movies, craft, and has a slight obsession with memes. This entry was posted in Blog Tours/Promos, Reviews and tagged Lenni Blackmon, New Release, Randa Lynn, release blitz, Review, Wes Taylor by kmarvin317. Bookmark the permalink.